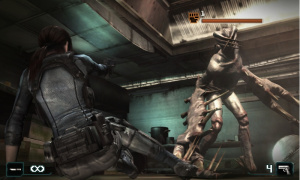 Resident Evil Revelations' array of wireless communication features is complete with the news that you'll be able to use StreetPass to exchange items, missions and enemies with other players. Campaign mode lets you swap items with nearby survivalists, while those who play the co-operative RAID mode — unlocked once you've finished Campaign — can check out enemies and missions from other players. Look for our review on 26th January. Today Capcom has confirmed that Resident Evil™ Revelations, which launches on 27th January on Nintendo 3DS, will have exclusive StreetPass™ functionality allowing players to collect items via a local wireless connection. There are two gameplay modes available through which players can connect via StreetPass™. In the single player mode, called Campaign mode, different items will be available to collect by passing other Nintendo 3DS owners; in the co-op mode, called RAID mode, players will receive new enemies and missions via StreetPass™. When a new item becomes available, players will receive a parachute icon and after clicking on this the new item can be collected. Resident Evil™ Revelations is the first time Resident Evil™ has been available in true 3D and sees a return to its survival horror roots with cinematic tension, intense sieges and high quality visuals that really bring the fear to life. The 3D visuals present a high quality perspective of the game world, enhancing the atmosphere and feeling of horror with the audio adding further to the scary experience. 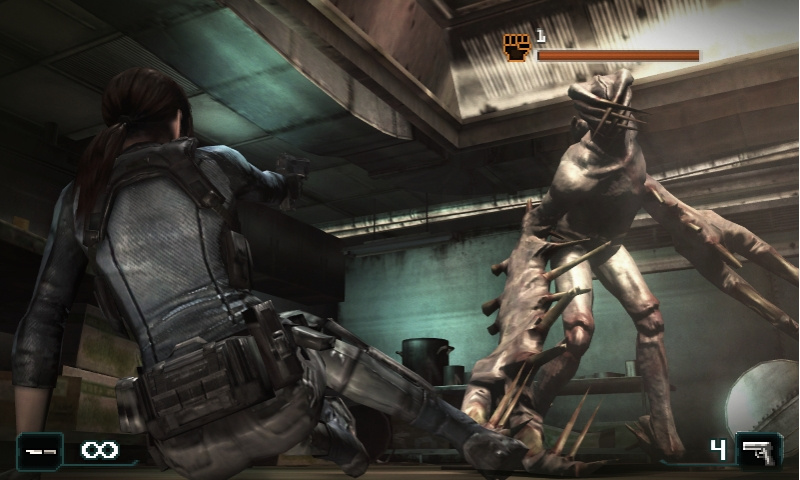 The game introduces a brand new storyline, locations and characters to the series. Jill Valentine and BSAA partner Parker Luciani have been sent to search for Chris Redfield, whose last known GPS data positions him as being on-board a supposedly abandoned cruise ship. Danger hides around every corner as they explore the confined space of the ship and face a menacing new enemy and virus; the T-Abyss. There are 4 playable characters in this instalment: BSAA agent Parker Luciani, Raccoon City survivor and BSAA founder Jill Valentine, Chris Redfield (missing at the beginning of the story) and nature-loving BSAA agent Keith Lumley. Sounds good for RAID mode. Can't wait for the demo. It still breaks my heart (a little) seeing all these top games comming out on the 3DS and almost nothing of it's potential on the Wii. I truly hope the current 3DS lineup is the shape of things to come for the Wii U. As for this, day 1 purchase of course. Amazing. The Wii had plenty of great games, but Nintendo focuses now on the 3DS and needs to develop for the Wii U, and so hopefully third parties. So it's understandable I think. RAID mode sounds amazing, can't wait to try and get S rank (or A Rank, if that is the "top" in this) in everything! Such a shame that I live in a town that doesn't engage in much StreetPass. THEY ARE DOING THE REVIEW ON MY BIRTHDAY!!!!!!!!!!! Looks like it's still a day 1 for me. It's hard to get streetpass hits though, even if you live in a rural village like London. Streetpass sounds really cool for this game. It does kind of sound weird that you are REWARDED for walking around and getting a Tag by getting another MONSTER to EAT YOUR FACE OFF.